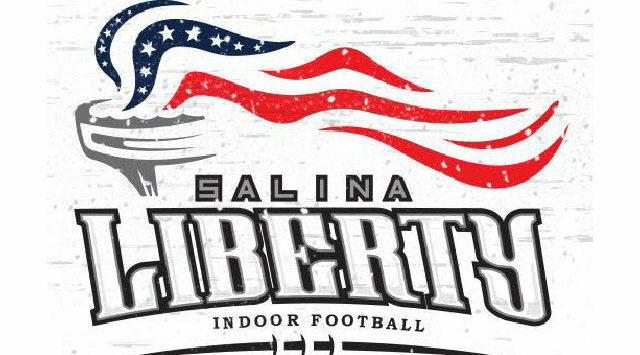 The Salina Liberty suffered from two turnovers in the final 90 seconds, losing to Amarillo, 63-57, in the Champions Indoor Football season opener Saturday night. Both teams traded blows all night as the game saw nine lead changes over the final three quarters. The Liberty took a 23-7 lead on a pair of touchdowns by running back Tracey Brooks and another on a 22-yard pass from quarterback Andrew Jackson to Anthony Jones. The Venom answered with 21 straight points to grab a 28-23 lead before the squads combined for four touchdowns in the final 60 seconds of the opening half. Salina trailed 56-51 and marched from its own five-yard line to the Amarillo 10. On third down, Jackson’s pass was intercepted with a little more than a minute to go. The Venom increased the advantage with a 48-yard TD strike with 43 seconds remaining. On the next possession, the Liberty turned the ball over again, this time on a fumble deep in Venom territory. Salina scored on the game’s final play. Amarillo quarterback Nate Davis completed 19 of 30 passes for 290 yards and seven touchdowns. Xavier Amey had 11 catches for 191 yards and six scores. Salina’s Jackson threw for 259 yards and six touchdowns. Brooks had a pair of rushing TD’s and another receiving. The Liberty return to Salina for their home opener on Saturday. Salina hosts Sioux City in a 6:30 pm contest at the Tony’s Pizza Events Center.